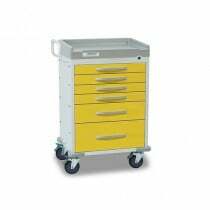 Medical carts are rolling cabinets with drawers or shelves that keep supplies organized and easily accessible for medical use. 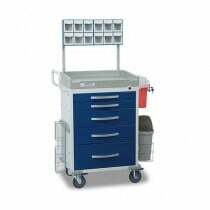 This easy access space stores tools, supplies and equipment for use in medical procedures. 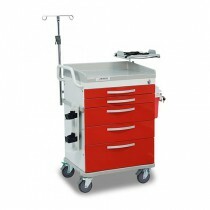 The cart’s mobility allows it to be placed within easy access of the physician attending the patient. 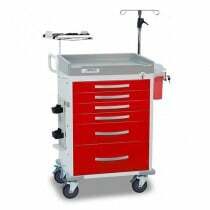 Medical carts can take on a specific role such as a crash cart, anesthesiology chart, isolation cart, treatment cart, medication cart, IV cart, point of care cart, phlebotomy cart, lab cart, or procedure cart. 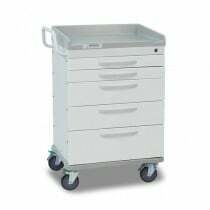 Click on the following links for additional information Common Characteristics of Medical Carts, Medical Cart Advantages, Types of Medical Carts, How to Select the Best Medical Cart, Medical Studies. 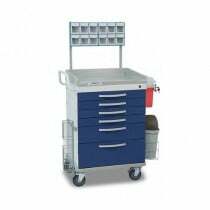 There are three common characteristics between all carts—storage, table surface, and mobility. Let’s examine each characteristic. First there are multiple storage drawers or shelves. This space is divided into separate areas and usually offers different sizes to accommodate the various dimensions of storage items. 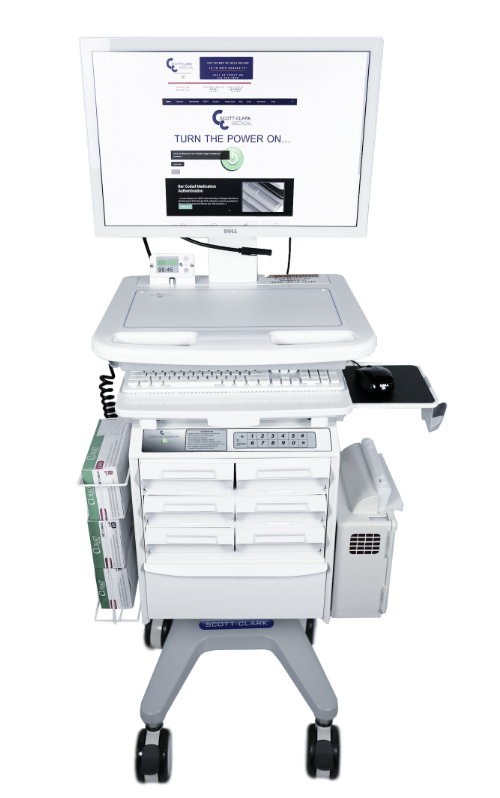 Second is a flat working surface where monitoring equipment is easily accessed or where different medical procedure trays can be utilized. Lastly are four caster wheels--one on each corner. 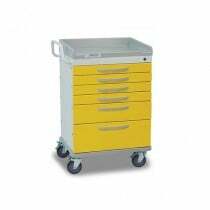 These carts need to be highly mobile to be quickly moved adjacent to the patient and caregivers. When the procedure is completed, the cart can be easily re-positioned out-of-the-way in a corner of the room or against a nearby wall. Carts with locking caster wheels can be locked into place to keep the cart from wandering. These carts are stocked with life-saving instruments, supplies, drugs and equipment. 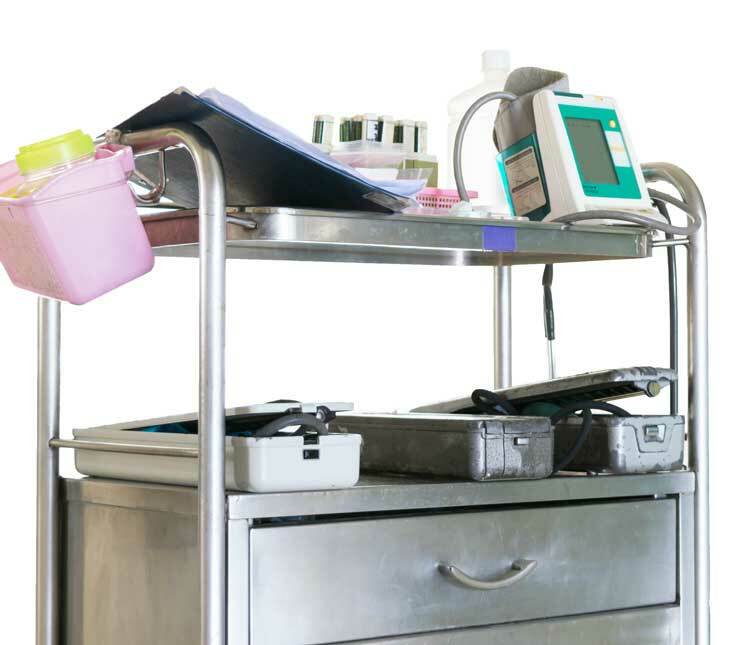 A well-stocked emergency cart saves doctors and nurses time by having what is typically required within the first 30-minutes of an emergency situation. 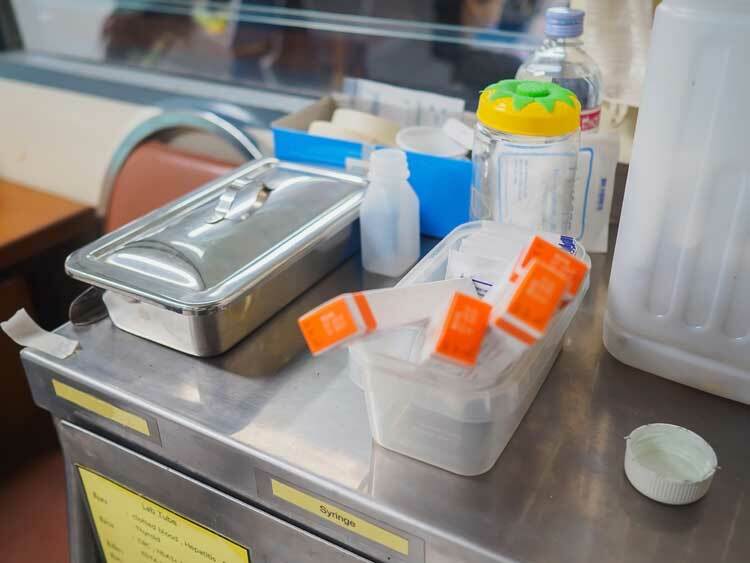 Used supplies and instruments should be replaced after each use to ensure sterility, availability and that expired items are replenished. These devices typically store supplies for the prevention of transferring pathogens between patients and caregivers. 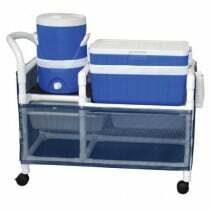 Sometimes these carts are referred to as infection control carts or isolation stations. Often, the surfaces are coated with an antimicrobial agent to prevent harmful microorganisms from reproducing. 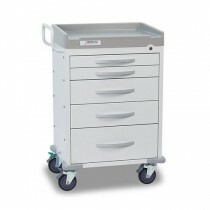 This type of cart offers anesthesiologist easy access to a host of supplies and equipment used to sedate or block pain. This equipment is used to monitor and manage the patient’s airways, oxygen intake, and nervous system. It also holds equipment and supplies to confront complications like allergic reactions, delirium, nausea and vomiting. 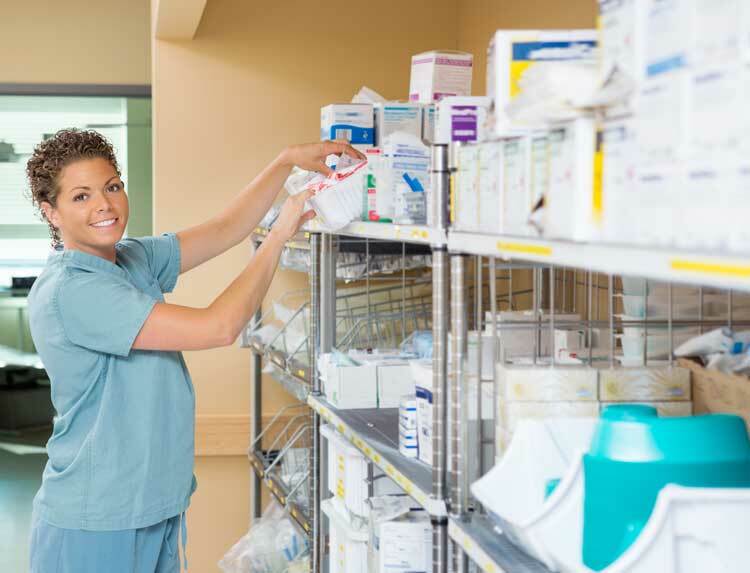 These storage devices are used in a wide array of settings, including nursing homes, hospitals, rehab facilities, dental offices, and physician offices. Usually these cabinets are rolled on to the scene when needed and then roll back out upon completion. 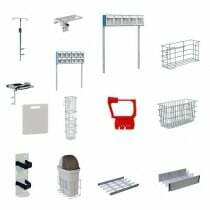 They provide organization and storage for items used in medical procedures. 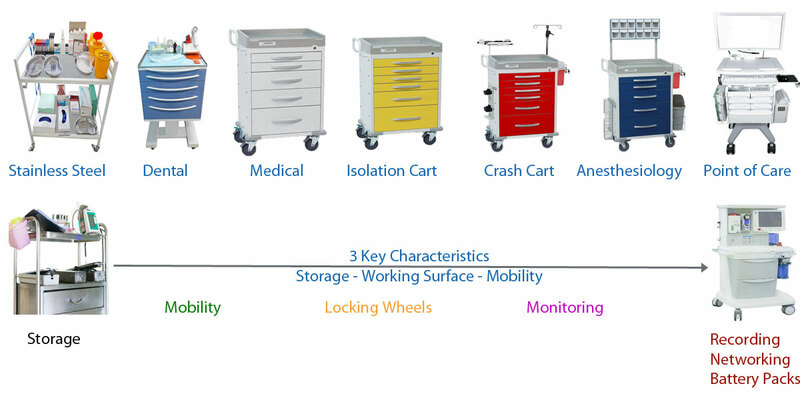 Above is a graphic that provides a continuum of the selection options and process in choosing the best medical cart for your specific needs. The newest trend in carts is towards advanced electronics. These trends include a computer interface with scanner to read barcodes for each drug, supply item and other perishables that are used-up when treating the patient. The computer is then networked with the hospital system to record everything administered to the patient. This provides a significant safety factor for the patient, a history of services performed, and an added benefit to hospital or clinic administration by capturing all expenditures to be charged to the patient. The newest versions incorporate their own power source to prevent trip hazards from power cords. This power source of battery packs is easily exchanged to keep everything running smoothly. Many of the carts go by the name of Point-of-Care Carts. Telesca, K. "A simplistic approach to restocking crash carts." Hospital pharmacy 27.12 (1992): 1068-70. McLaughlin, Robert C. "Redesigning the Crash Cart: Usability testing improves one facility's medication drawers." AJN The American Journal of Nursing 103.4 (2003): 64A-64F. Zimmermann, Polly Gerber. "Cutting-edge discussions of management, policy, and program issues in emergency care." Journal of Emergency Nursing 29.3 (2003): 269-280.